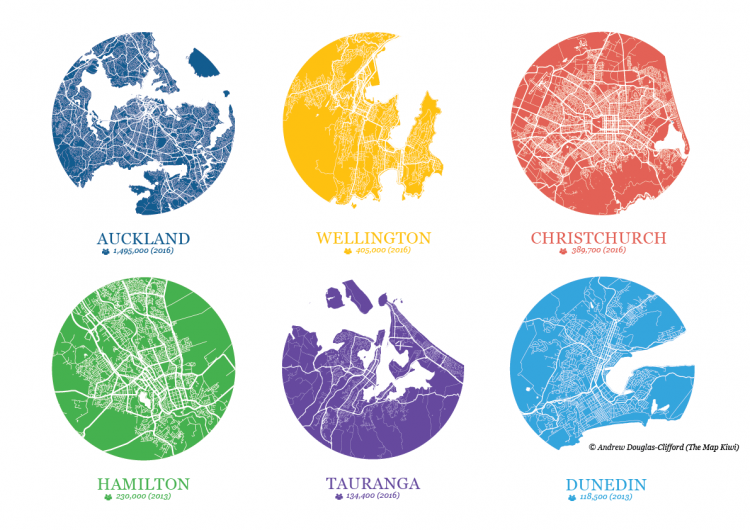 Beautiful wall art of New Zealand cities that sticks to your wall. Adhesive, easy to install and reusable. Limited stock available. 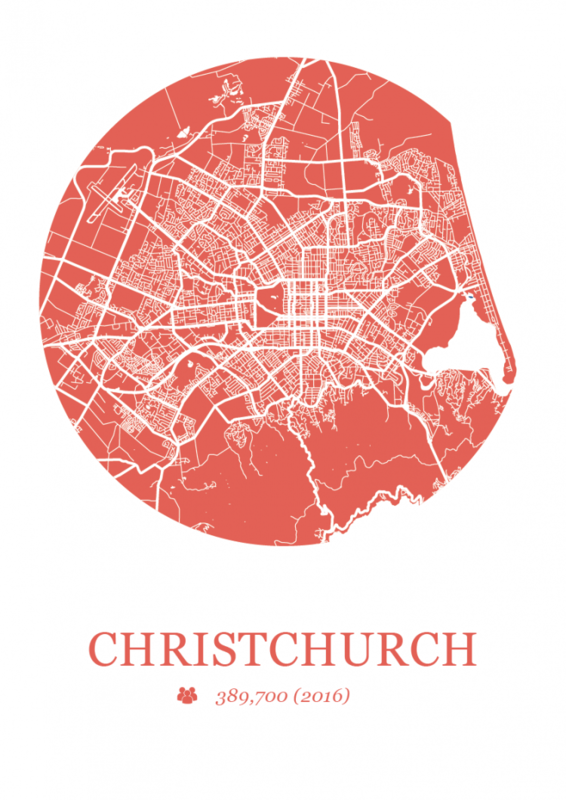 Choose from minimalist map designs of Auckland, Wellington or Christchurch. 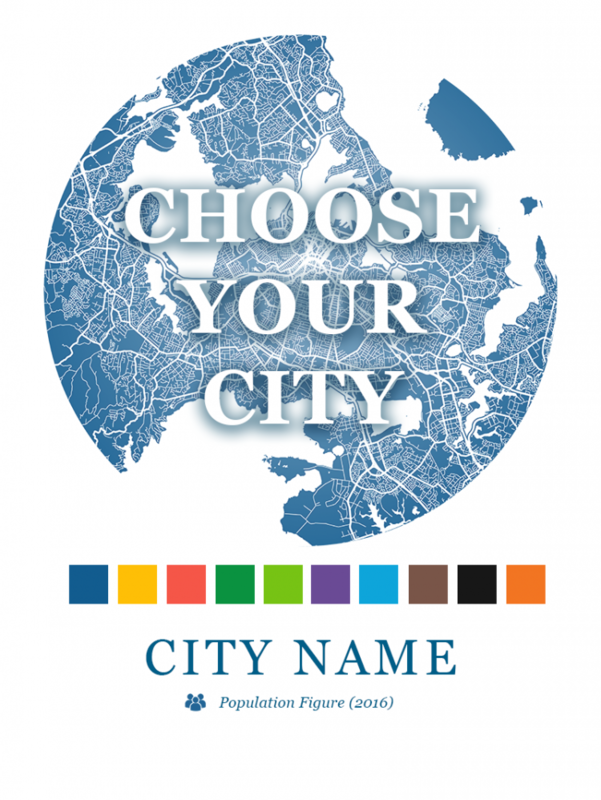 These high quality decals are 40x40cm in size and are printed on heavy weight, self adhesive fabric with a smooth, creamy, matte finish. These decals can be applied to wallpaper, glass, ceramic tiles and other clean and stable surfaces. They can be removed easily by carefully peeling the decal from the wall and reapplying it to the backing paper for transport and reuse. The decals can be reused many times (generally about 10 times, sometimes more) as long as the adhesive side is kept clean. Decals are delivered rolled inside a tube. 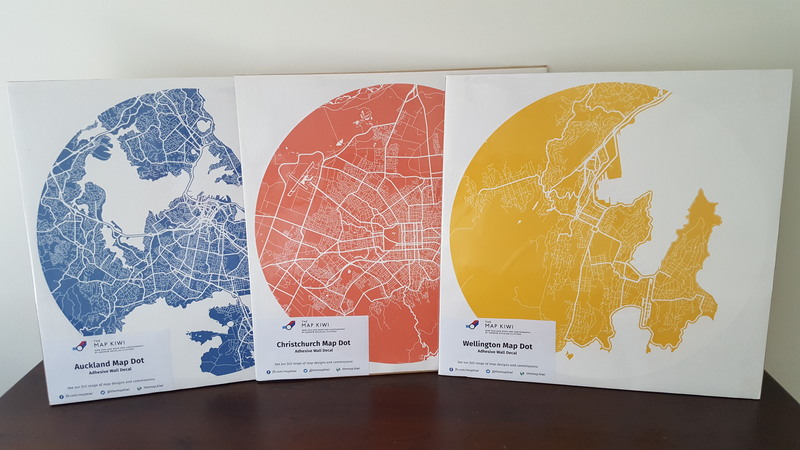 If you intend on ordering several Map Dots, it is recommended that you check with us that stock is available first. We have limited stock available on hand, and it may take more time to fulfil your order.